This beauty was from one of Kolkata’s first boutiques- Kanishka . 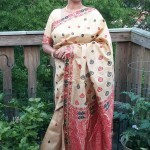 Having a Kanishka’s saree in the warddrobe was any saree loving woman’s dream in those days. The other was Ananda on Russel Street. Homes of ethnic, elegant, exquisite sarees. 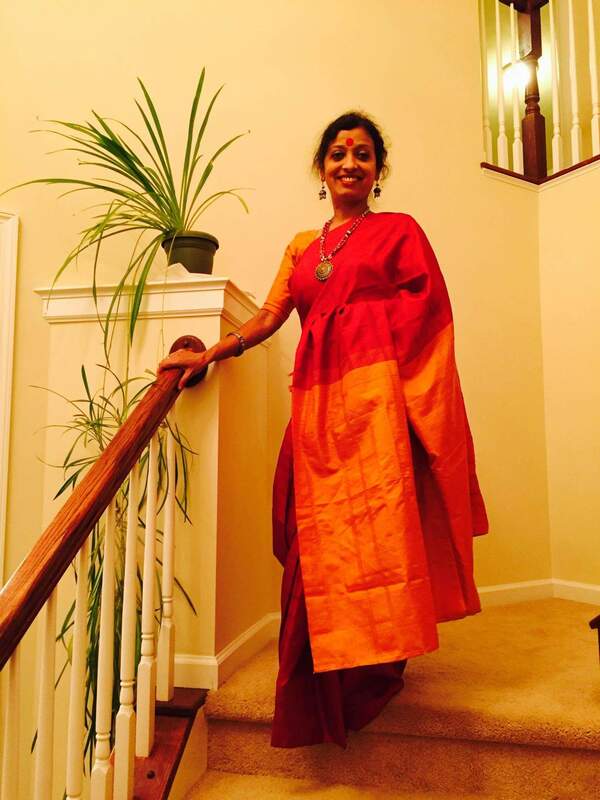 Here’ s my first from Kanishka- a plain vermillon-red Bangalore silk with a raw silk pallu in mustard. It has self checks in a darker red shade along the border. Wore it after a long time to a friend’s place for a warm get-together. Nothing can surpass the glory of red and gold.